The idea of a Home Theater PC (HTPC) has received a lot of attention recently. Microsoft has Windows Media Center; Apple has its Apple Tv; Google has its Google Tv. While these are all great takes on the HTPC concept, they lack real functionality and user customization. May I introduce MythTv: a Unix based software with very low hardware requirements that lets you record and store on the backend then stream to any frontend wirelessly. For those who cringe at the thought Unix, this is not the Unix of your nightmares. 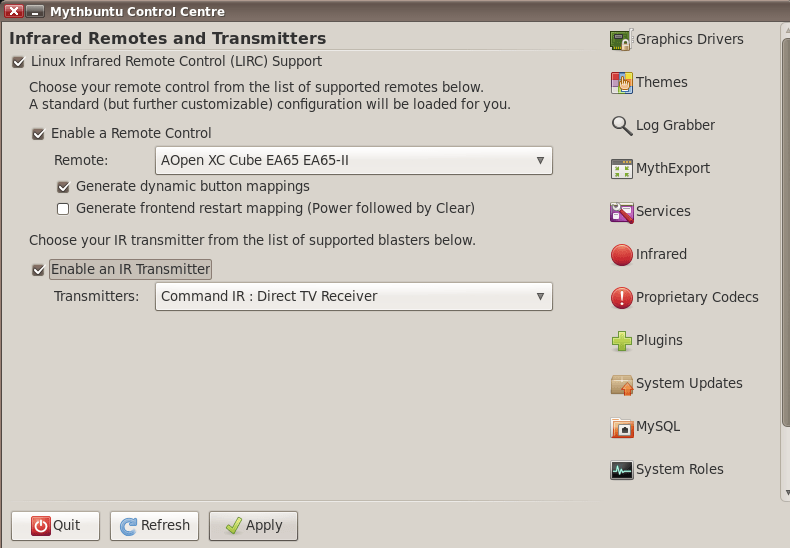 Mythtv comes with a full user GUI, easy to use control panel, and little to no need for command line use. Mythtv has the ability to stream around the network, download and store torrents, and play/rip any file type. Mythtv is divided into two distinct parts: The Frontend and the Backend. Both are based in Unix and can be run as a LiveCD or plain software to an existing Unix System. usually encoded to mpeg-4 format. Encoding Blueray/HD content requires an HD tuner card (only works with unencrypted channels from your television service provider). Most HD cable boxes support FireWire capture as an alternative to buying a dedicated Tuner card for HD. The majority of tuner cards are PCI based so that old rig with all those PCI slots is perfect. Minimum requirements from Myth’s website are 1.0 GHz CPU , 192 Mb of ram, and a TV Tuner Card. HDD space is going to vary from user to user depending on how many recordings of “I Love Lucy” you plan on storing. This effectively removes the need to keep a large ugly box next to your TV. The backend can be stored anywhere there’s a cable jack and power. Mythtv software comes with the option of having many Backends (one master and other slaves) working on the same network to simplify storage and job management. The software does all of this discreetly. The Frontend is where all the functionality/customization comes in. Aside from allowing the user to set and view recordings, the frontend can play movies stored on the backend, show weather alerts, find movie listings for your area, handle your music library, let the user surf the web and retrieve RSS feeds. 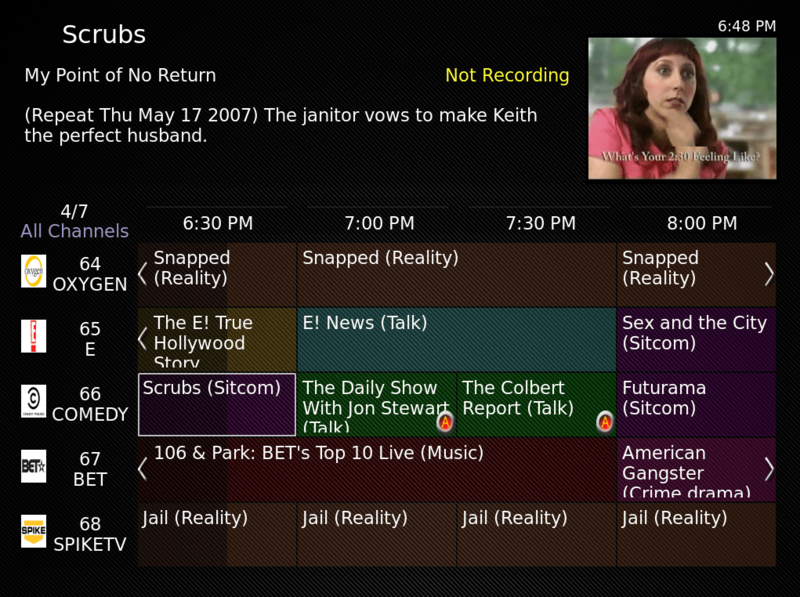 The TV guide is color coded by show genre and shows channel names, icons, and overview. Setting up a Mythtv Frontend or Backend is very user friendly with the backend taking a few quick steps and the frontend needing only an IP address and password. Mythtv can be installed as a bootable OS based off your favorite Linux flavor or as software onto an already working linux box. 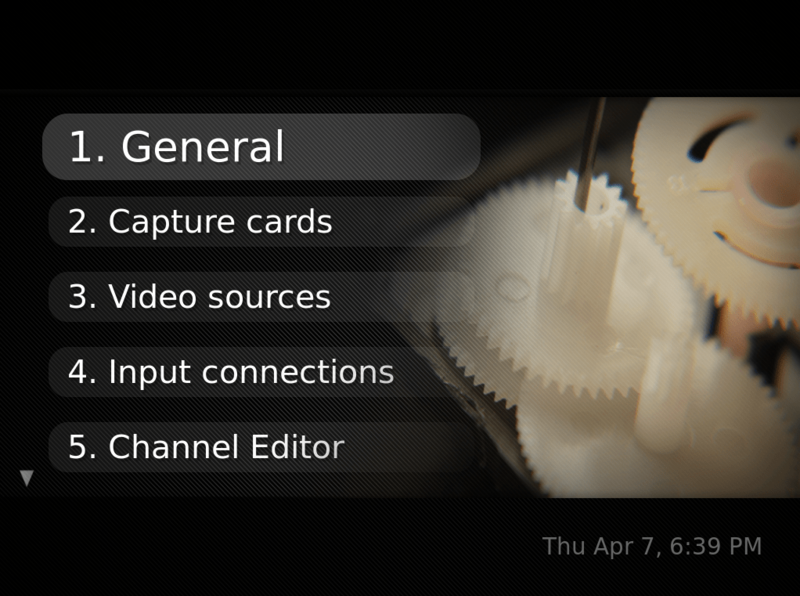 Both have a GUI further adding to the ease of software setup. The install software comes with all the display and tuner drivers needed so there is no driver hunting needed. Do you have hardware sitting around holding the floor down? Are you tired of fighting scheduling conflicts and deciding which favorite show to watch? Check out Mythtv. Give yourself the option to watch Whatever. Whenever. Wherever.